As the unprecedented tragedy of millions of people being displaced by natural disasters, conflict, war, climate change or persecution continues to unfold, we sense a call to deep prayer, strong advocacy and concerted action for justice in response to this global concern. 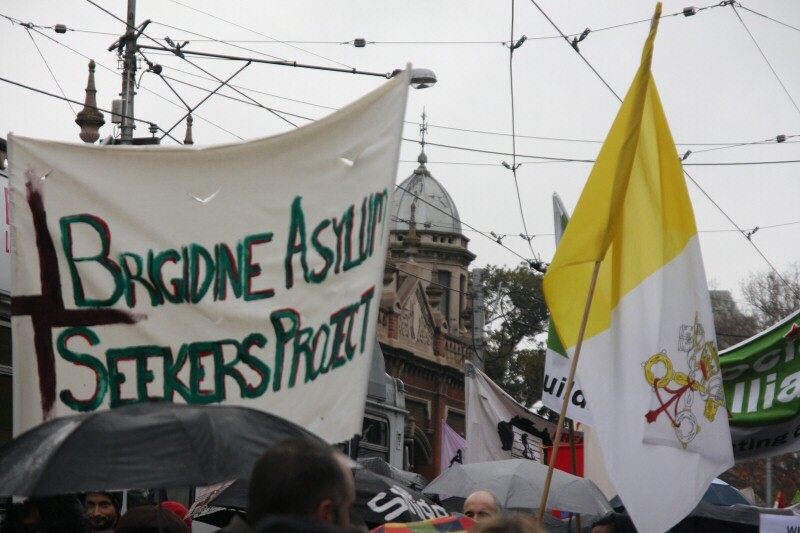 Brigidines are engaged in a variety of networks and support groups working at a number of levels – visiting and providing personal support and material aid to refugees and asylum seekers in detention centres and in the community. We are committed to educating ourselves and raising the awareness of others about these issues as well as advocating and lobbying for change to unjust policies of governments. engage in education about issues concerning asylum seekers. Concerned and compassionate women and men across cultures and generations contribute to the work of this Project. Brigidines also work in partnership with other NGOs to assist new migrants settle in their host countries. Another example of this work is Tallaght Intercultural Action.